I been beating my head against the rubber wall. I’ve been jumping on a ladder, tryin’ to make it fall. We’re diving on the cliff from the highest rocks. Living under penalty, no seceond thoughts. And the world re- arranges. This is sink or swim. Sure as hell, no – one stays, I’m in. First, always the same surrender. Always left with the tender heart. We’re in this strong beat. Getting a rest through the night. Enough, he know me through the law. Ooh, get the bull by the horns. Listen to the rumble from beneath the ground. I’m tryin’to get to sleep but there’s that angry sound. All the stamping and the kicking, don’t know what I’m gone do. Have them made to maybe face the popping out. Popping out. Popping out. Popping out. Ooh. And the world re- arranges fast. Sure as hell, no – one knows, what state I’m in. I have to admit it. It’s out in the open. But there is no escaping it. Here it comes, this is it. Popping out. Popping out. This is it! 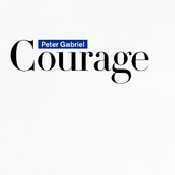 Ampliar Canción Courage de Peter Gabriel . - Álbum "Courage" del año (2013)	.